WB The Creative Jewellery Group prides itself on its focus on ethical jewellery manufacture and supply chains, receiving numerous nominations and winning awards in the Ethical Jewellery Business of the Year category in the UK Jewellery Awards. But what sits behind this focus and success? And why is it important? 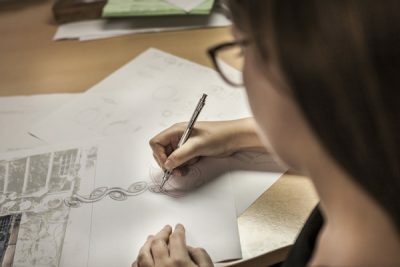 Fiona Pluck, WBTCJG’s Head of Quality Control and Quality Assurance, explains why the only way is ethics, for the UK fine jewellery manufacturer. Q: How long have you worked at WBTCJG and how did you get into your role? Q: From your perspective, as a UK fine jewellery manufacturer, which areas do ‘business ethics’ cover? A: “Business ethics is a far-reaching subject that covers everything from how you treat your staff to where you source your products. We have several industry-specific affiliations and accreditations; we have also created our own internal code of ethics which is a promise to both customers, colleagues and suppliers about the ways in which we do business. Our code of conduct covers national and international laws and regulations, moral and ethical issues that surround the consumables that we use, traceability of raw materials, internal and third-party audits, human rights and welfare of WB employees and of our suppliers, reductions in environmental impacts through technological innovation, recycling and disposal policies, and internal staff training and awareness. We were one of the first UK members of the Responsible Jewellery Council and we have just been re-certified again, which happens every three years. RJC provide an excellent and very comprehensive workbook for you to work through, during application for, and also for renewal of, accreditation. Domino Jewellery- British Made Semi-set Mounts. Domino Jewellery- Created & Crafted in Britain. Q: In your opinion, why is a focus on ethics important? For WBTCJG, your customers and for the trade? A: “It is hard work but worth it. It’s an exciting and challenging time for ethics professionals, as increasingly consumers demand greater transparency in business ethics. 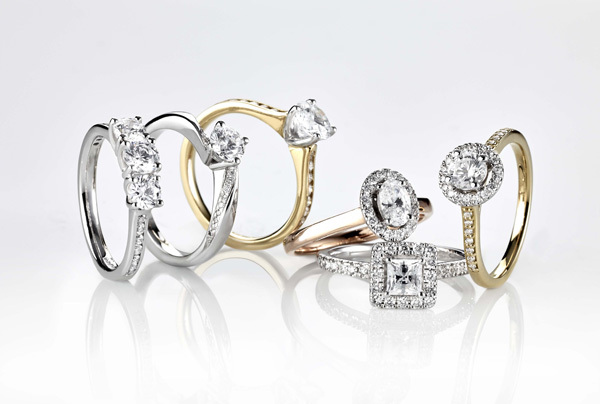 Jewellery is often an emotional purchase, especially where diamonds are concerned. So, being able to guarantee that your product is ethical from mine to retail, is an extremely powerful message. Inability to do so can negatively affect your reputation, and therefore sales, in the long-term. And quite simply, it’s the right thing to do. Would you want to work in poor conditions for terrible pay, forced to buy your own uniforms and effectively be retained in bonded labour? If we wouldn’t want to have to deal with poor conditions, then we shouldn’t perpetuate the practices that lead to other human beings having to do just that. If it looks too cheap, then it is too cheap. We want to continue to be leaders in this arena, ethically producing and delivering quality products at a good price. As you can tell, we are very passionate about it! WB’s Craftmanship spans back decades. Q: What sets WBTCJG aside from other manufacturers with regards to ethics? A: “We have been focusing on quality assurance and ethics for a long time, so our network of suppliers and internal processes and policies are well established. We have worked with our off-shore manufacturing partners for many years and if we do take on-board a new supplier, we have a detailed and comprehensive protocols for engagement and compliance. We will visit the supplier multiple times, working with them and communicating over several months covering a range of criteria including design capabilities, ethics, processes, manufacturing capability and costs. 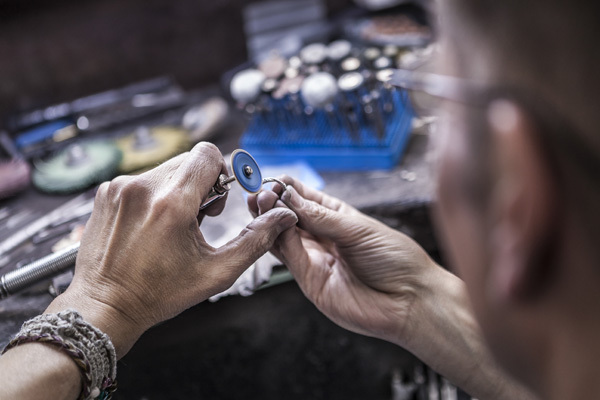 More than a quarter of our manufacturing partners are accredited by the Responsible Jewellery Council and we work closely with suppliers to provide guidance and support if required. We have two partners going through the process at the moment, so my team is on hand to help them understand the requirements, and to identify and rectify non-conformities. Those that do not have RJC accreditation will often have other relevant certification, such as including the ETI Base Code which is an internationally recognised set of labour standards based on ILO conventions. 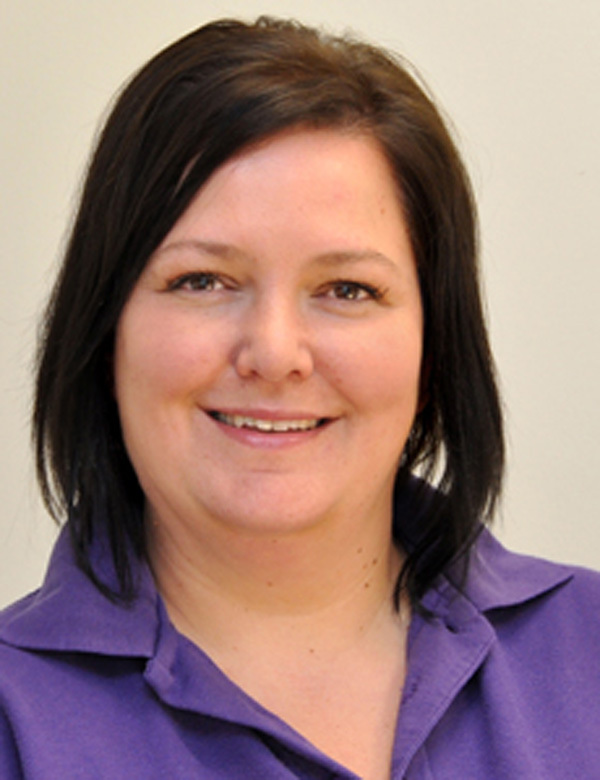 We also carry out our own, and third-party, audits to ensure that all suppliers are adhering to our Code of Conduct”. Stunning Cocktail Rings from Gecko Jewellery. Q: WBTCJG has just had its RJC accreditation renewed? What does that mean to the Group? A: “It means everything to us. We want to remain leaders in ethics and RJC accreditation is central to this vision. We have an evolving strategy. There’s never a time when we will down tools because we’ve finished everything. There is always more that can be done. We’re focused on further increasing the transparency of our supply chain. We are open and transparent about our ambitions and we are independently audited. We are all very proud of our ethical strategy and it’s truly a team effort. All divisions are clear on the commitments we have made and their part in the wider picture. I rely heavily on my colleagues to fulfil our commitments and they make sure that the policies and processes are adhered to, whether that’s ethical audit reports denoting stones sources or COSSH documentation from our cleaning staff. I work very closely with Mark Thomas, Domino Jewellery’s Operations Director too; this ensures that there is senior management buy-in and leadership to drive compliance and inspire innovation across the Group. 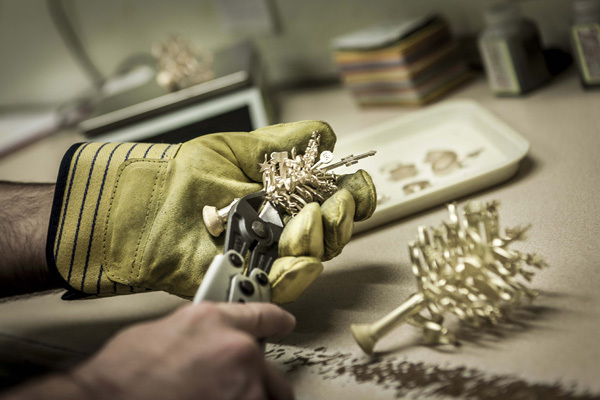 Focusing on ethics for WBTCJG simply means making sure everyone involved in the production and delivery of our jewellery is properly looked after. Q: What is the process like? Is it difficult to maintain your RJC status? A:”It’s an intensive process, however, I get a lot of support from across the team. It’s a continuous cycle of change and compliance, so we never really stop. It’s important to keep on top of everything, so we are constantly updating policies, talking about industry innovation and our own ethical responsibilities and aspirations. The best way to approach RJC accreditation is to adopt it as a way of life. We’re always thinking about what we can do next”. Q: Why is RJC accreditation so important to WBTCJG? And to the trade? A:”We should care because we have a duty of care. 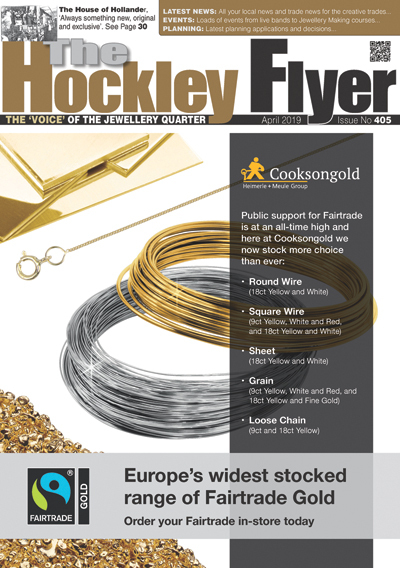 RJC is the pinnacle, so I would strongly advise jewellery companies to talk to them about their aspirations. They are really knowledgeable and helpful. Even if it’s not for you, just working through the application process is likely to deliver improvements in both quality and ethics. Start the conversations and you might be surprised – your suppliers and partners might already have third party accreditations and ethical policies. And any change, no matter how small, is good”. Q: How does RJC fit with or drive other areas of improvement within the over-arching WBTCJG strategy? A: “RJC accreditation is one of the metrics or KPIs that we use to measure success within the Quality division, so it’s reported at Board level across the Group. It’s a key part of our evidence of focus on ethical manufacturing. And this focus also drives other deliverables, including recognition and awards, such as our 2017 win at the UK Jewellery Awards. We also count our membership of the FairTrade as a critical KPI. Mark Thomas led the WB Customer Services team in attaining FairTrade Ambassador status a few months ago. We are so proud of them all. It’s great to be able to empower our colleagues through training, whilst improving quality and service for our customers. We are also a member of Sedex which demonstrates our commitment to making sure that our off-shore partners treat their employees fairly, are treated well, and work in decent conditions as per the SMETA base code to the ethical trading initiative”. Q: Can you tell us of any WBTCJG future focus areas or planned initiatives?